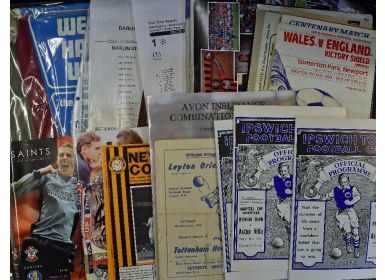 Football memorabilia selection to include West Ham Utd pennant, some menus, reserve programmes including 1959/1960 Leyton Orient v Spurs, 1961/1962 Wolves v Burnley. 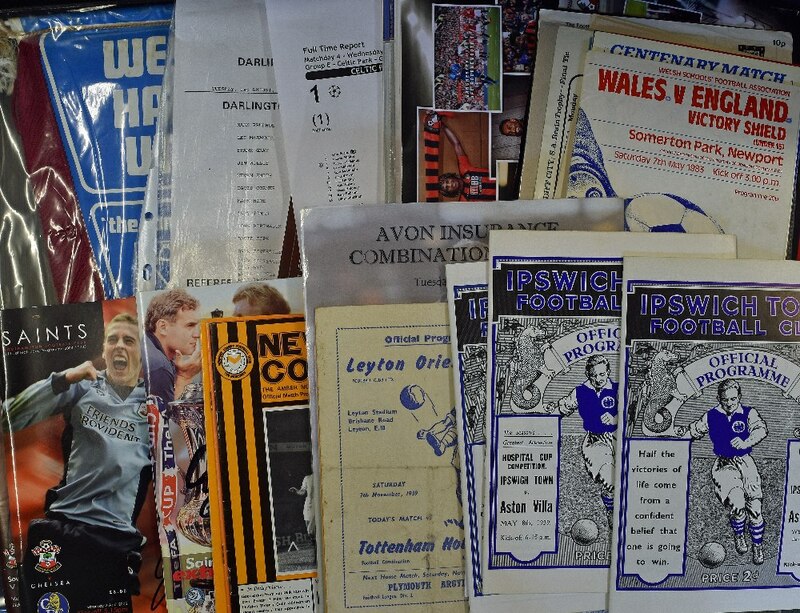 Some autographed programmes (6) plus 1955 Sheffield XI v International XI (Dooley test), 1963/1964 Arsenal v Leicester City special issue, also team sheets (33), reproduction rare programmes including 3 x pre-war Ipswich Town plus others. (70+) Worth a view.